The Kentucky Senate passed a bill to allow religious language in theatrical performances. FRANKFORT, Ky. — Linus could still explain the true meaning of Christmas to Charlie Brown under a bill approved by the Kentucky Senate. Senators voted Friday for the measure that sets out the rights of students to express religious beliefs in public schools and allows the Bible to be used for the secular study of religion. The 31-3 vote in the GOP-led chamber sends the proposal to the House, also run by Republicans. The Kentucky Senate passed a bill to allow religious language in artistic programs after a Kentucky school district cut parts of "A Charlie Brown Christmas." Associated Press/ABC, 1965 United Feature Syndicate Inc.
A part of the bill would permit local school boards to allow schools to sponsor “artistic or theatrical programs” that advance the learning of cultural or religious heritage. Some audience members responded by reciting lines from the play in which Linus quotes from the Bible, the Lexington Herald-Leader reported at the time. The Johnson County school superintendent told the Lexington newspaper he made the decision to remove the Biblical references on the advice of his attorney and state officials. 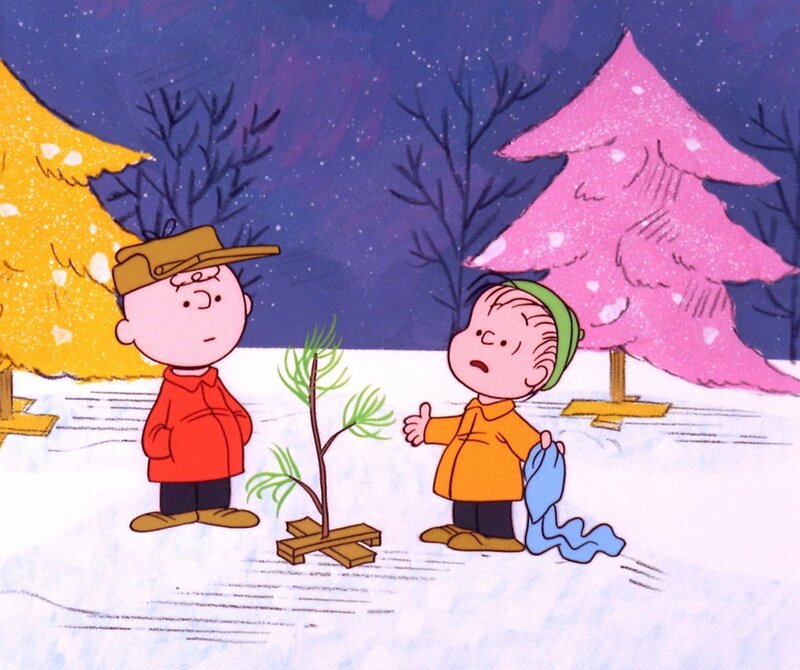 “There is no basis for the schools and the districts to censure the religious aspects of ‘A Charlie Brown Christmas,”‘ Republican Sen. Albert Robinson, the bill’s lead sponsor, said Friday. Robinson said he would have introduced the measure regardless of the controversy. His measure would allow students at Kentucky public schools to engage in religious activities and express political views on school grounds. Religious or political views could be expressed in homework, artwork and other assignments. The bill also pertains to public universities. Also under the measure, students could display religious messages on their clothing “to the same extent” nonreligious messages are allowed. Like other school groups, religious-based student groups could meet outside of instructional time. In supporting the bill, Democratic Sen. Julian Carroll bemoaned the lack of attention to teaching moral values in schools. Robinson said he wants to free school officials from the fear of being sued for allowing religious expression in schools. Another key section of the bill would allow public school teachers to use the Bible or other scripture for the secular study of religion, its history and role in the U.S. Other purposes could be to study the Bible as literature and study religious influences on art, music and social studies. Teachers could not provide religious instruction. She said the bill would likely create confusion about what’s “constitutionally permissible” in classrooms. That could “invite legal challenges,” she said. Clark was among the three senators voting against the bill Friday.